The food that Jewish people eat is part of our connection to our faith, culture, and history. Not only is Jewish food comforting and delicious, it's also a link to every facet of Judaism. By learning about and cooking traditional Jewish dishes, we can understand fundamentals such as kashrut, community, and diversity. And Jewish history is so connected to food that one comedian said that the story of Judaism can be condensed into nine words: They tried to kill us. We survived. Let's eat. 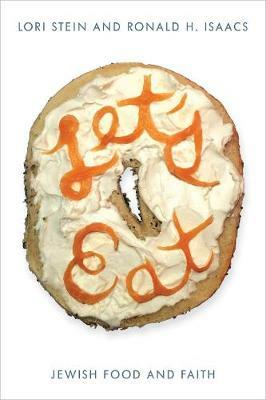 Let's Eat follows the calendar of Jewish holidays to include food from the many different Jewish communities around the world; in doing so, it brings the values that are the foundation of Judaism into focus. It also covers the way these foods have ended up on the Jewish menu and how Jews, as they wandered through the world, have influenced and been influenced by other nations and cuisines. Including over 40 recipes, this delicious review of the role of food in Jewish life offers a lively history alongside the traditions of one of the world's oldest faiths.